Silver prices surged to a 2-year high in the summer of 2016 notching up a high of $21.15, before beginning to range trade between $18.70 and $15.25. 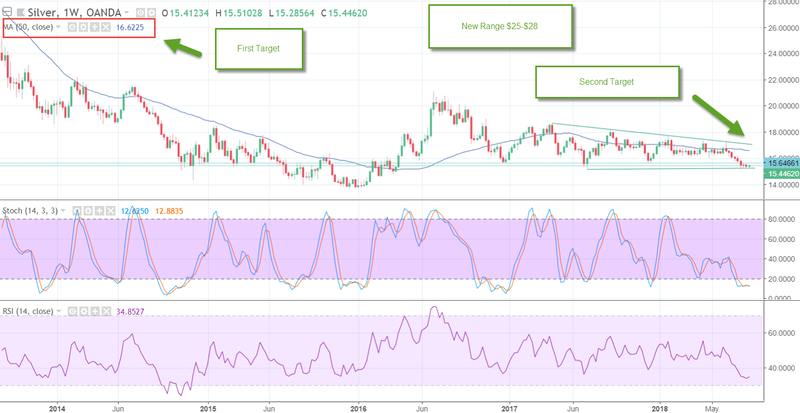 The weekly chart of silver shows that prices are oversold, as the fast stochastic, which is a momentum oscillator is printing a reading of 12.7, well below the oversold trigger level of 20, which foreshadows a correction. Prices should not have any problem rebounding back to weekly long term resistance near the 50-week (which is approximately 1-year), moving average at $16.62. This should happen whether inflation rises or not, but if it does, there will be a massive piercing of trend line resistance at $17.02. The break out will allow prices to be on their way to retesting the $21.15 highs and headed for 2013 highs at $25.12. This should place silver in a new range between $25 and $28. In addition to the latest cycle analysis that is likely to bring on inflation boosting the prices of precious metals, the seasonals point to a rally in the Q1 of 2019. For the past decade the Q4 has been quiet, but Q1 especially January and February have been a very good time to own silver. Silver has rallied in January 70% of the time during the past 10-years, notching up an average gain of 5.8%. Silver has performed just as well in February. 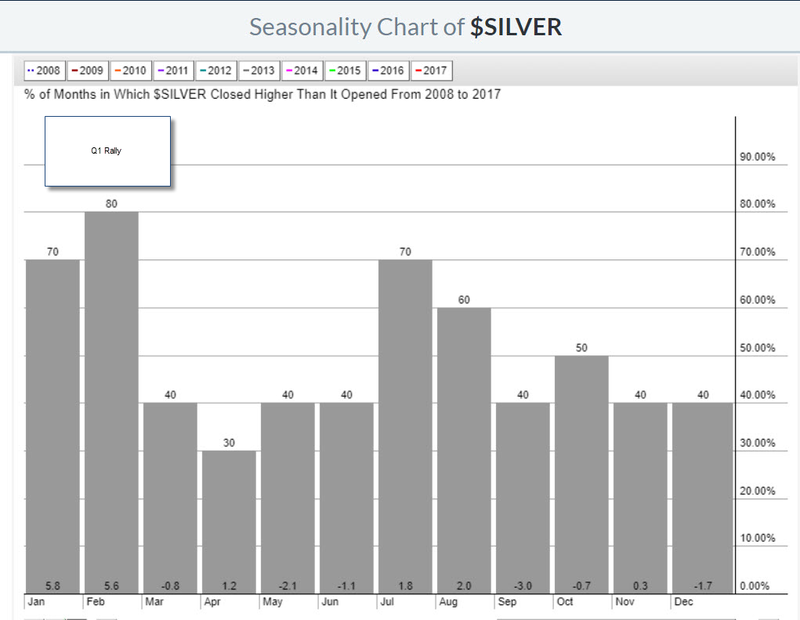 During the second month of the year, silver has increased in value 80% of the time, rising an average of 5.6%. The performance has been similar over the past 20-years, with silver rising 70% of the time in both months, with average gains of 3.7% and 4.1% respectively. The current range and relatively value of silver, is providing investors with a great opportunity to take advantage of a seasonal low ahead of the end of cycle inflation rebound. If you are interested in taking advantage of a robust environment to purchase silver click on this link to get access to your Investment Kit.